Day 12: Take Two | Keeps Me Out Of Mischief! My dad is the connection between these two photos, let me explain. The first picture shows our dishwasher. 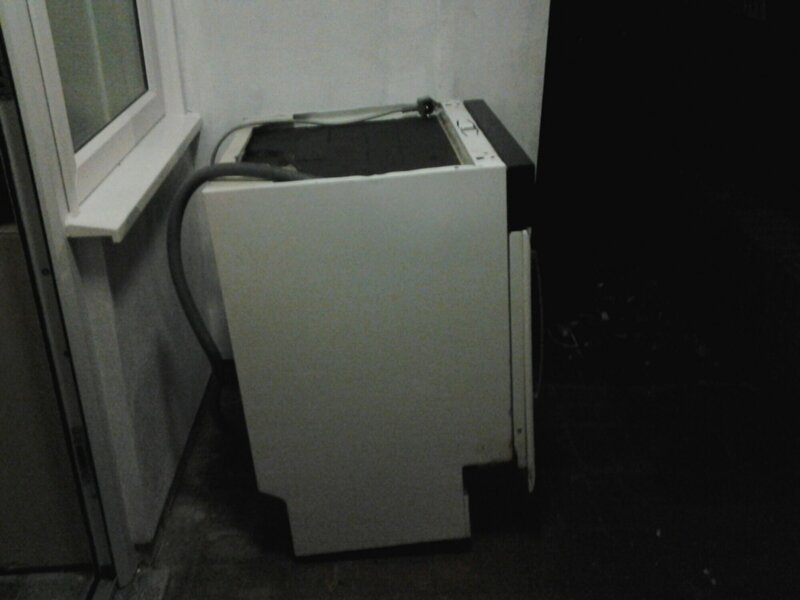 Our old dishwasher. It’s sitting forlornly outside the front door waiting to go to the tip (our neighbours must love us!). On Christmas Day we’d loaded said dishwasher and my dad and father in law were washing the rest of the pots in the kitchen when I heard my dad’s voice very gently say ‘Claire, could you just come here a moment.’ I walked into the kitchen to see water all over the floor and a slightly panicked look on my dad’s face. We switched it off, bailed the water out, emptied it and washed the dishes in the sink as though nothing had happened. Today we finally got around to choosing and buying a new one and Dad came round to help to install it. This wasn’t an easy job – nothing ever is in this house as everything done by the previous owners seems to have been done in completely the opposite way to how it should have been done. However, we have a new machine that for now, fingers crossed, appears to be working (and not leaking). The second picture shows a card that my dad sent through the post to me a couple of weeks ago. Although my parents live less than a mile away, he knows I like to receive the odd letter that doesn’t contain a bill so I often receive silly cards through the post. 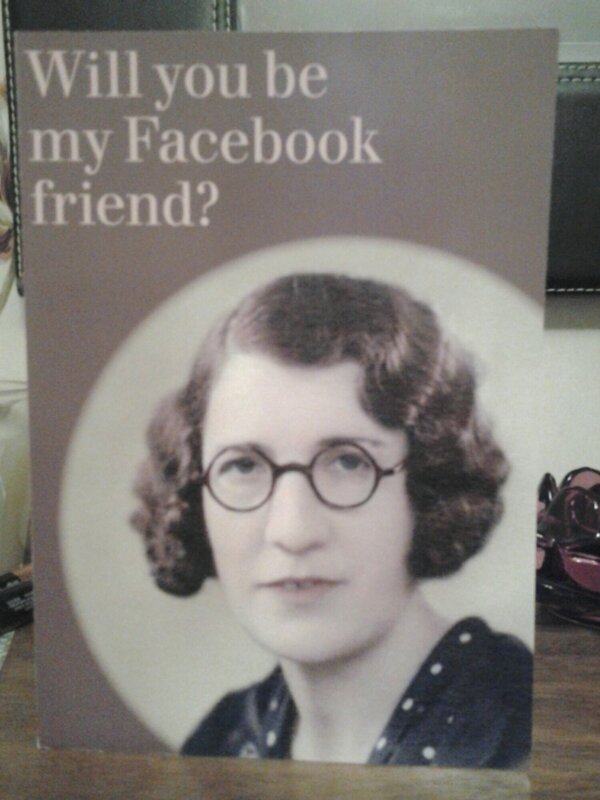 This made me laugh out loud because he always teases me about being ever so slightly addicted to Facebook! Not entirely sure he’s ever been referred to as that!